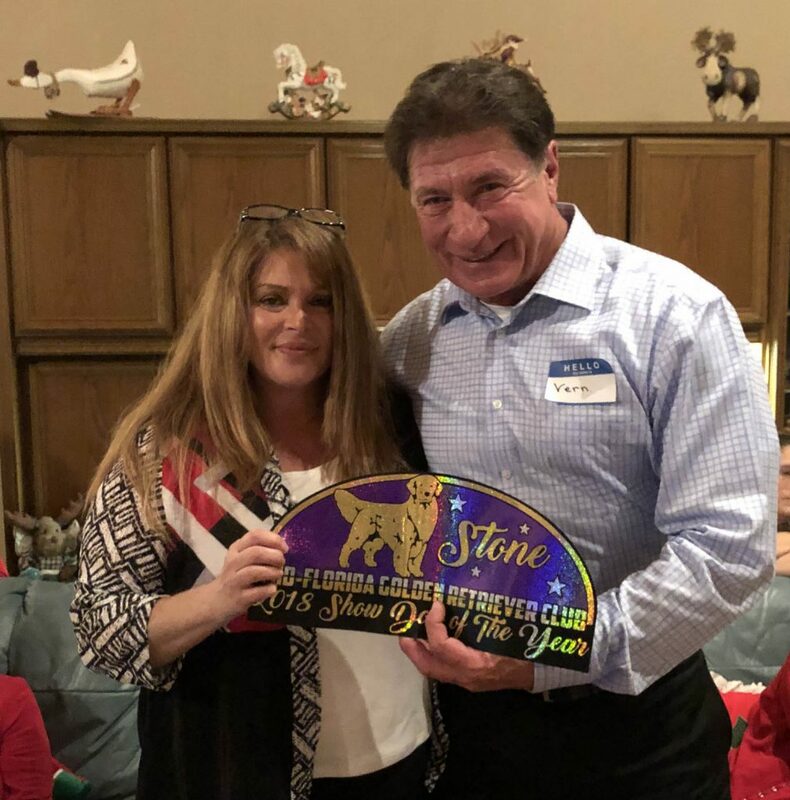 The Mid-Florida Golden Retriever Club announced its 2018 year-end awards recipients and winners at the club’s annual Christmas party on Dec. 15 at the home of club president Ann Rowe in Sorrento, Fla. 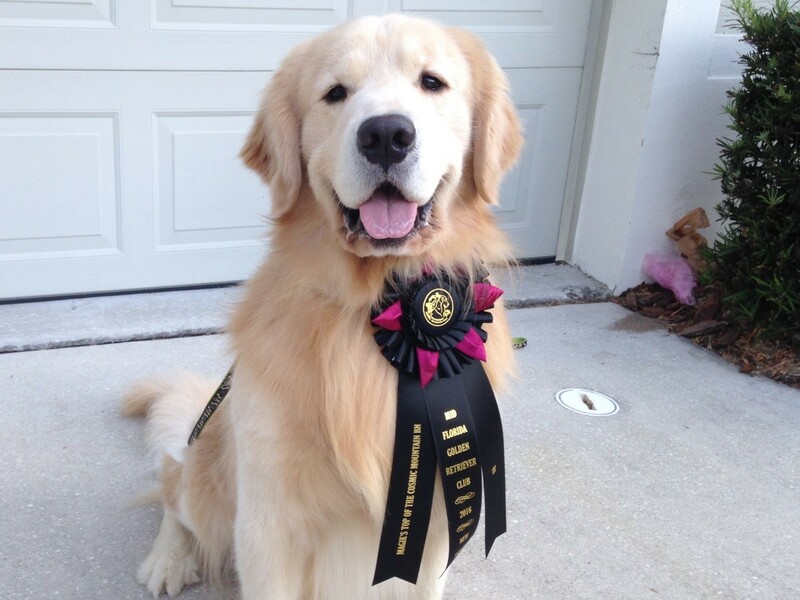 The Mid-Florida Golden Retriever Club announced its 2016 year-end awards recipients and winners at the club’s annual Christmas party on Dec. 16 at the home of Dee Thibodeaux in Sorrento, Fla. 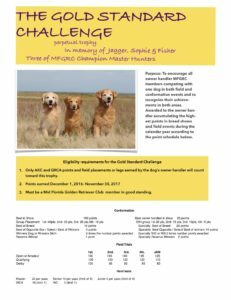 The MFGRC Board of Directors has approved the point system in the attached document below. The dates for the awards run from December 7th, 2015 through December 10th, 2016. ALL information MUST be received by December 12th, 2016. NO SUBMISSION WILL BE ACCEPTED AFTER THAT DATE. To be eligible for an award dogs must reside with the person making the application and that person MUST have attended two meetings and volunteered/worked at a club function. Forms may be mailed or-emailed. Fill in the information below – and submit with the appropriate area you are applying for. Our final general meeting of 2016 will be our annual Christmas Party. At this meeting, we’ll install the officers and board members for 2017 and celebrate a fun and successful year for the club. Membership renewals for 2017 are now due. Rates will remain the same – $25 for individual, family or associate membership categories. If you will be attending the Christmas party, you can bring your check to Dee there. Also, people who have become club members in November do not have to renew for 2017; their membership will carry over.